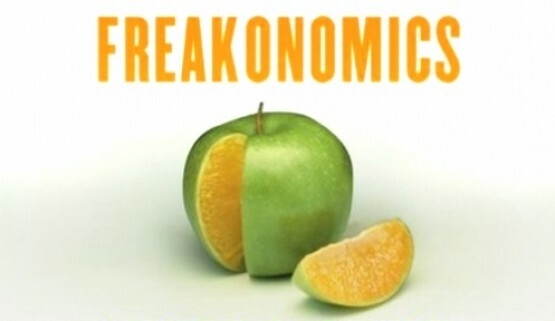 So, yesterday I wrote about my Freakonomics movie experience and how it reminded me why I don’t like incentive based programs. Kids get left out because the same incentive doesn’t work for all kids. I was having lunch with my boss on Monday and he asked me a question about what I got out of it and it caused me to think about a different side of incentives. His questions caused me to think about incentives in my life. I recognized that even I don’t respond to the same incentives in every area of my life. For instance, last year I lost over 30 pounds in 3 months. I’ve been a lazy bum and have gained some of it back, but it’s time for me to pick up the running and healthy eating routine again and I just haven’t been motivated. What I’ve learned is that in order for me to lose weight, there have to be three things present. Accountability, competition and some kind of prize. Without those things, I’m just not as motivated. It felt really great to fit in some clothes I wanted to wear, but that great feeling isn’t enough incentive for me. When it comes to doing a great job in ministry, I don’t need the same kind of incentives. I don’t really enve need someone telling me I’ve done a great job. I’ve got an internal drive that pushes me forward because I just care about it. Funny how that is, isn’t it. I’ll be even moreÂ vulnerableÂ right now. One of my biggest struggles in the last few years is sitting down to read my Bible every day. The desire is there but when left to my own, there’s a good chance that it’s not going to happen. Now I have lots of accountability in my life and as a group we’ve tried all kinds of things from calling each other, sending emails and texts to encourage each other to take the time. It works some of the time, but not perfectly. Initially, my mind things, “well, I just haven’t found that incentive that will help me read my Bible every day.” On the other side of things though, it feels less than right to be seeking incentives for myself toÂ maintainÂ spiritual disciplines. Shouldn’t time with Jesus be enough? I get to be with him forever in Heaven and he saved me from death, isn’t that enough? An outsider would probably say, “obviously not since you’re still not reading your Bible ever day.” Maybe that’s just my brokeness and my need for God to change my heart. I’m conflicted on this. Any thoughts? NextHave you used pre-designed thermal labels? Pray for my “Pirate” Face! Good read Kenny. Wonder how much has to do with our personality. I’m almost finished with Me: Becoming the Me that God wants me to Be by John Ortberg. Talks about how we treat prayer and reading the Bible as primary means of communicating with God. But for those that aren’t visual or analytical learners, that might not be the way that God wants to connect with them. Anyway very interesting take on Spiritual Growth and a good insight for those of us that teach kids. I also just watched a video by Driscoll about something that totally blew my mind on Devotional reading vs. Reading for Study. I always was told to keep them separate. Driscoll completely disagreed with that approach. Anyway just some thoughts and resources to throw out there to you. Your weight and your communications with the Father should both be subject to only one thing: an aching desire to please HIm. If reading your bible is nothing more than a daily ritual, forget it. Jesus didn’t even HAVE a bible to read every day, nor did Paul or any of the first century guys – they were too expensive. Most “Christians” through history either didn’t have one, or couldn’t read. Bible study isn’t a requirement. But if you really LOVE your Father, and think about getting HIs approval every day, then you’d naturally want to hear the sound of His voice. The problem isn’t bible reading or gluttony. The problem we all face is that we don’t live EXCLUSIVELY for the smile of our Father in heaven. That’s all the incentive you’ll ever need. Beautifully written. You summed it up best with your last line… we don’t live exclusively for the smile of our father in heaven. That’s our brokeness. I’ll actually push back on your thoughts a little though. A lot of people set up daily times to read the scriptures because they want to be in God’s word and allow it to transform them, so they schedule it or plan for it. I don’t see anything wrong with that. There are times where I honestly schedule time with my wife. Why? Because I love her and there are busy times where we have to fight for our time, so we’ll literally put in on our calendars. It’s our love and desire to be together that pushes us to schedule at times. So, in a perfect world with a person who is much better at time management than I am, I’d spend lots of time in the word or in conversation with God just because I want to and have made the time for it. Unfortunately, that world isn’t reality and I have to fight a lot harder for time with God. Glad you took my randomness & anonymity with such grace – thanks. Of course Jesus often left his followers to be alone to pray, and spent his once-per-week rest days (Sabbath) reading the word.